Team building activities are a powerful way to unite, develop and reward members of your team. Our iconic location and unique spaces are designed to enhance, improve and develop creative skills through personalised experiences. A range of activities can be held on-site or at the nearby gardens. These include yoga in the park, garden walks, city tours, outdoor games and interactive activities. Our team building suppliers can provide an activity which suits your requirements. Take a walk through time, explore the Parliament and witness where history is made. Free tours depart on Mondays and Fridays, and are subject to availability and size limitations. 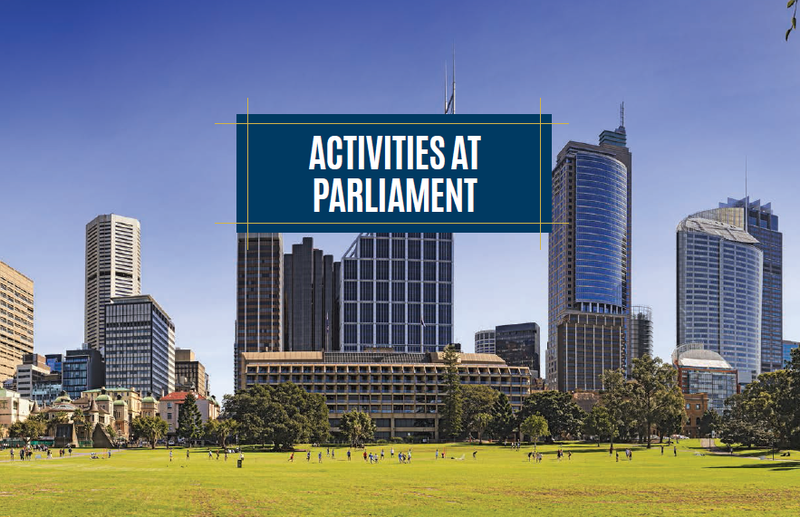 To book, please contact the Legislative Assembly on 02 9230 3444 or find out more about free tours of NSW Parliament.